“I work hard to protect innocent life and support pro-life legislation. 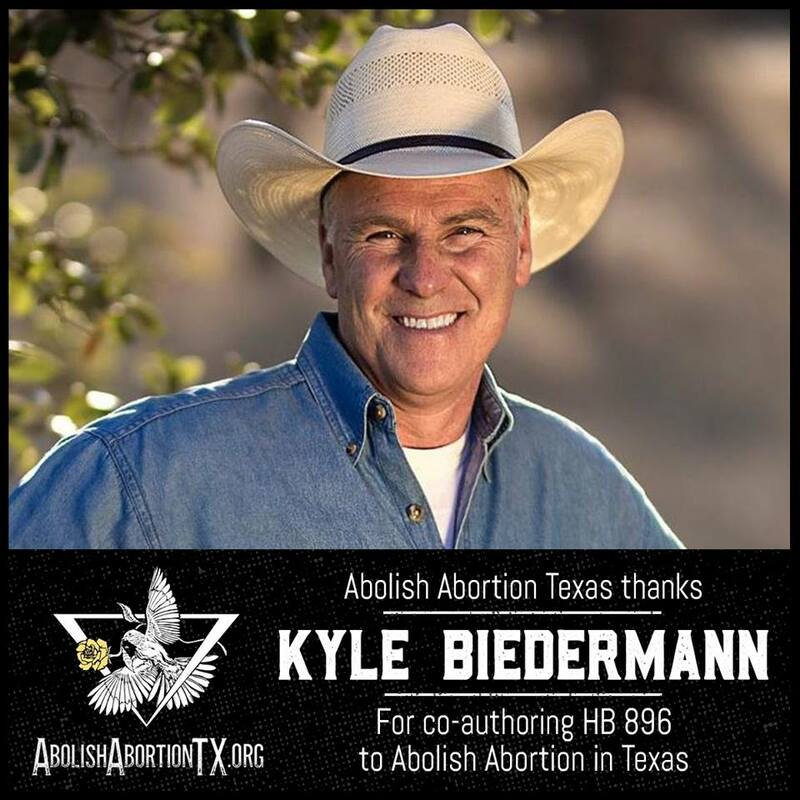 This is why I have co-authored House Bill 896, which would prohibit abortion from the moment of conception in the state of Texas. I have also co-authored the Texas Born Alive Infant Protection Act, HB 16. Which would prevent a child who has been born alive after a botched abortion from being killed after birth, by mandating that they receive the highest possible care.